The post Playroom Ideas to Keep Kids Occupied for Hours appeared first on Freshome.com. 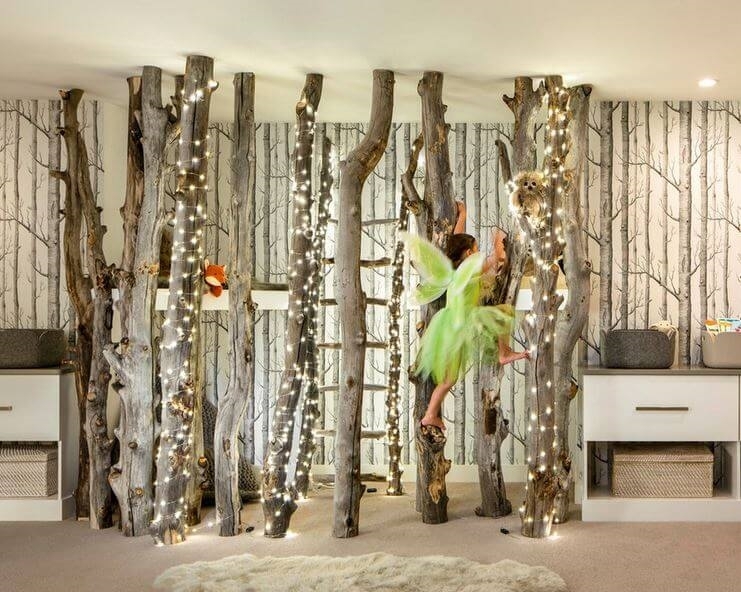 This enchanted forest has real tree trunks (from fallen Aspen trees), which have been bolted to the floor and ceiling. In the center is a ladder made out of tree branches, and there?s a ledge on the left side of the forest. Lights strung throughout add to the enchanted atmosphere, as does the tree wallpaper. Soft carpet and plenty of storage complete this playroom.